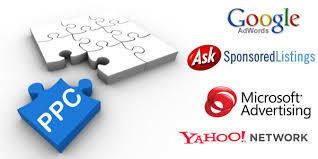 PAY Per Click is a vital component of successful companies SEO strategies. We strongly recommend that most clients consider a pay- per- click campaign to support an organic SEO campaign. PPC ads are the ads you see at the top and on the right-hand side of the SER (Search engine results) pages. You pay only when a potential customer/ client clicks through to your website. If the campaign is ran professionally and effectively, each click represents a well targeted potential client and these do convert well. It often takes a few weeks up to a month and a half to realize the benefits of an organic SEO campaign. The primary factor being the time lapse until the search engine robots properly crawl and index the recent work. Links especially can be slow to index. Google offers $50.-$150. of free Adwords for a new account and Bing up to $200. If you know how to get it. Adword campaigns if done by a professional can be very cost effective marketing and have an excellent (ROI) return on investment. Especially for startup businesses, or a business that needs to improve their performance immediately, a PPC campaign can be a lifesaver. I recommend starting out small, and fine-tuning the campaign when ever possible (20 click minimum to re-set parameters). If adword campaigns were not successful for most companies, Google would go out of business. A PPC campaign done well can be extremely beneficial, not only in the short term, but as a valuable source of business in the long term. If you investigate, you will find the companies running long term PPC campaigns are the most successful in their fields. We can set-up and run a custom pay-per-click campaign for as little as 200 over a month period using highly targeted keywords and adds. Most of our clients spend 400-1200 a month on PPC campaigns but starting with a small budget is OK. We at West LA SEO pride ourselves on leveling the playing field so our clients with a small budget can compete with the “big boys”. Give us a call for a free individual analysis of your business needs and how our services can help. Let’s claim those free and matching incentives and let them offset the cost of the organic campaign.